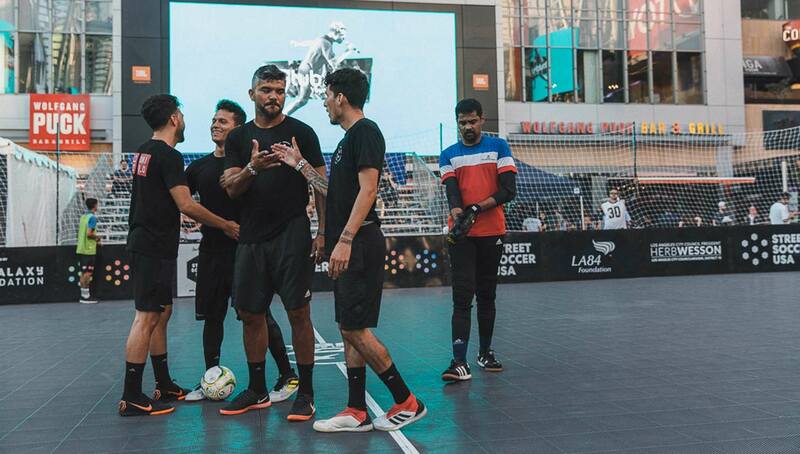 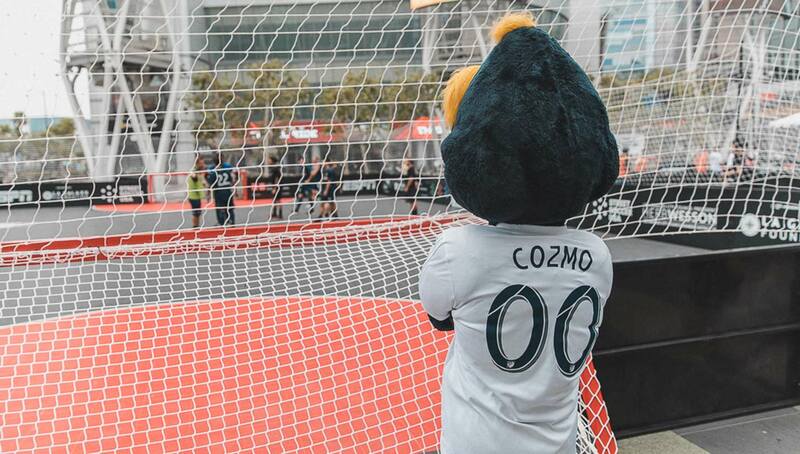 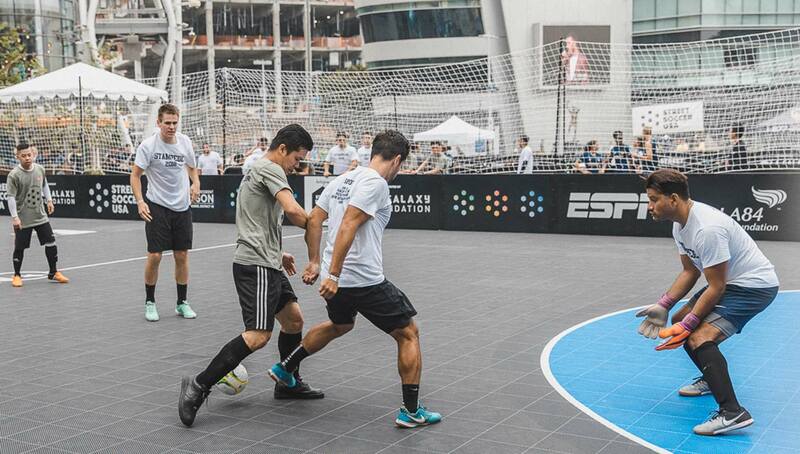 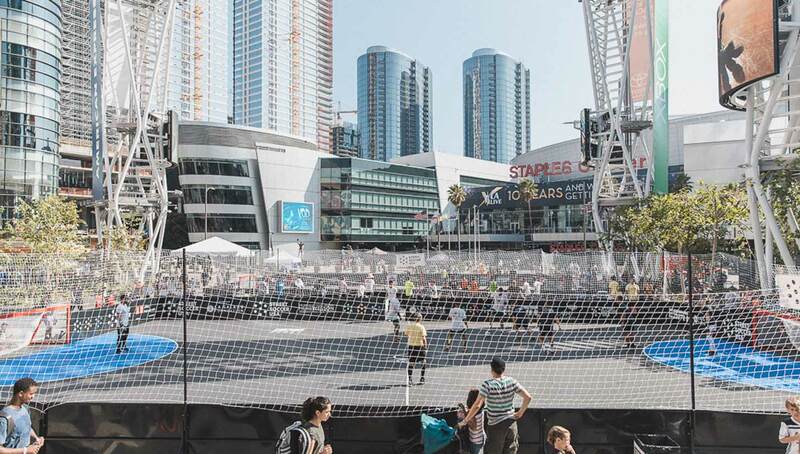 After hosting several tournaments in different major cities in the United States, Street Soccer USA finally ventured to Los Angeles, bringing street soccer to LA Live’s Microsoft Square. 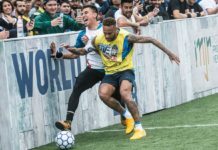 With plenty of high-intensity matches including a chippy Super Cup final, the event also served as a positive outlet for at-risk and troubled area youth. 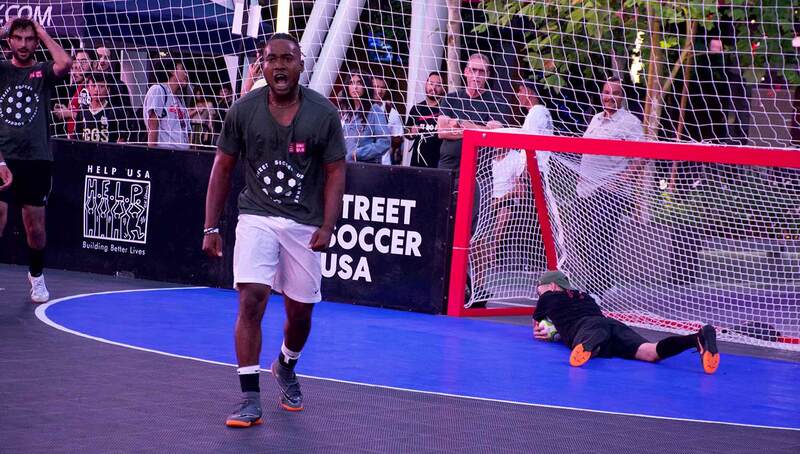 Across the country, Street Soccer USA and its dedicated staff of volunteers and coaches uphold a supportive soccer program that instills live values and provides a safe and fun outlet to at-risk youth regardless of their financial background or upbringing. 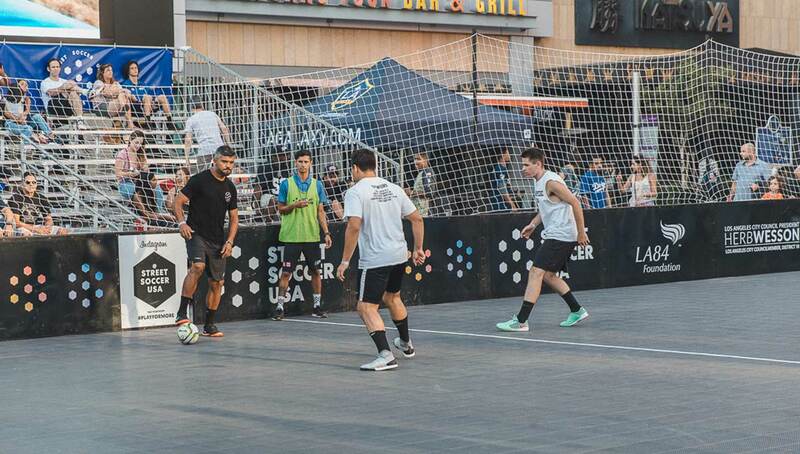 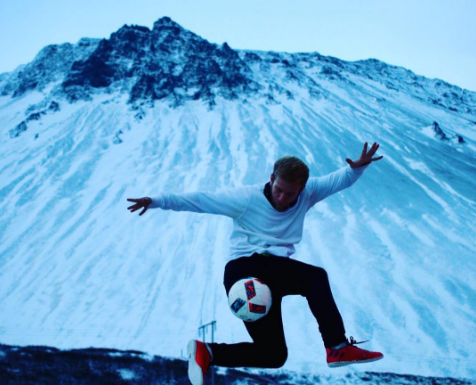 Every year, SSUSA brings their mission to the forefront of the community by hosting soccer tournaments in some of the country’s most iconic venues, including New York City’s Times Square, San Francisco’s Union Square, and Philadelphia’s Museum of Art. 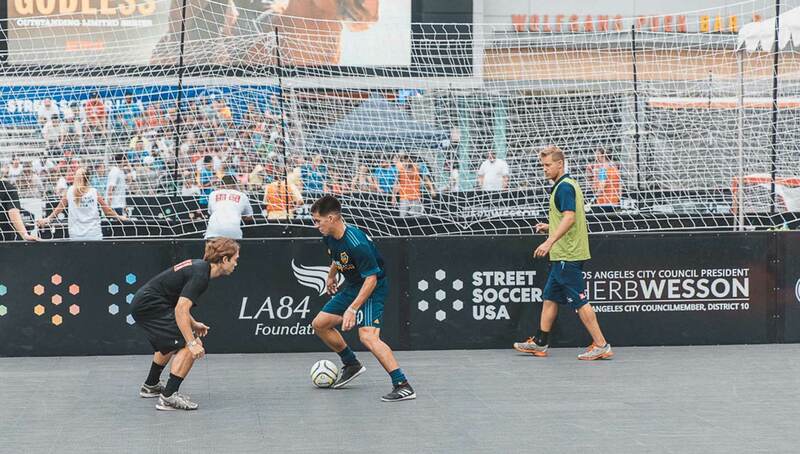 This year, for the first time, SSUSA came to the City of Angels at LA Live. 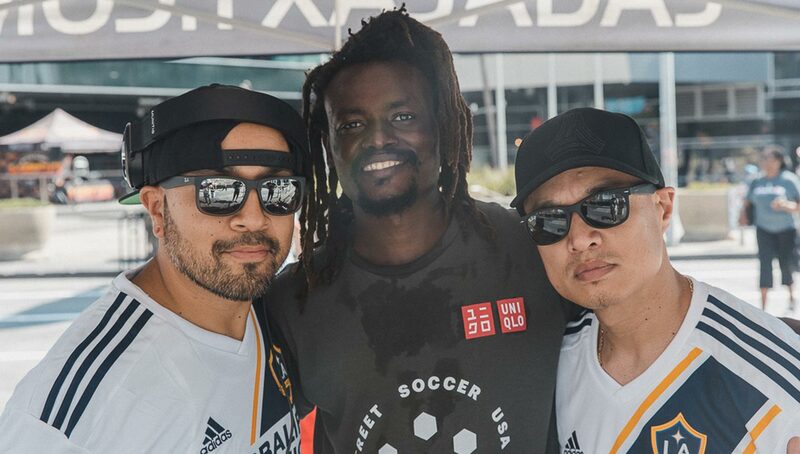 With support from sponsors such as the LA84 Foundation, the LA Galaxy Foundation, ESPN and Los Angeles City Council President Herb Wesson, the tournament was a unique opportunity for kids of the program to show off their skills and see celebrity matches, all while donning free uniforms courtesy of UNIQLO. 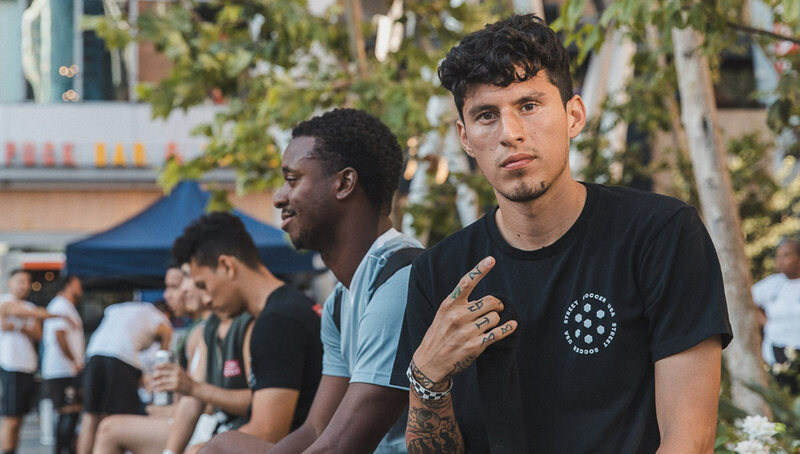 As always, LA Live’s Microsoft Square was bustling, providing a large crowd of excited onlookers, some die-hard fans of the game and others casual passerbys. 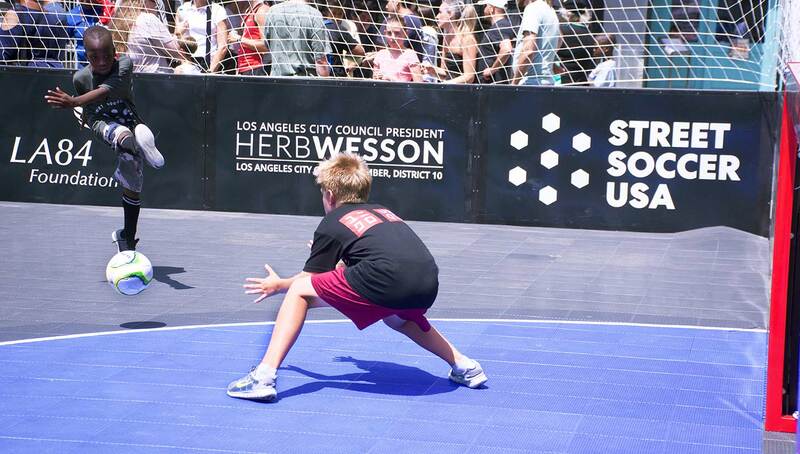 In addition to large crowds, the tournament boasted a plethora of competitors, with almost 100 kids from the SSUSA program alone participating in the day’s activities. 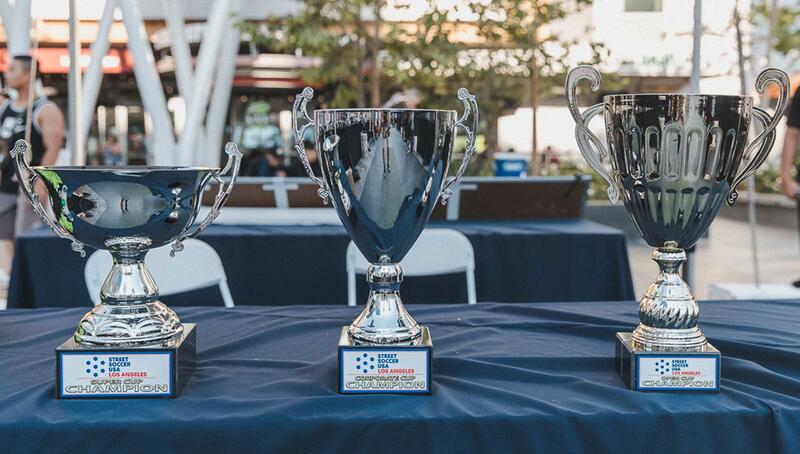 On top of the youth competition, the tournament featured an open and corporate bracket, featuring some of the LA area’s top crews including Electric Futsal and our very own UrbanFutsal LA. 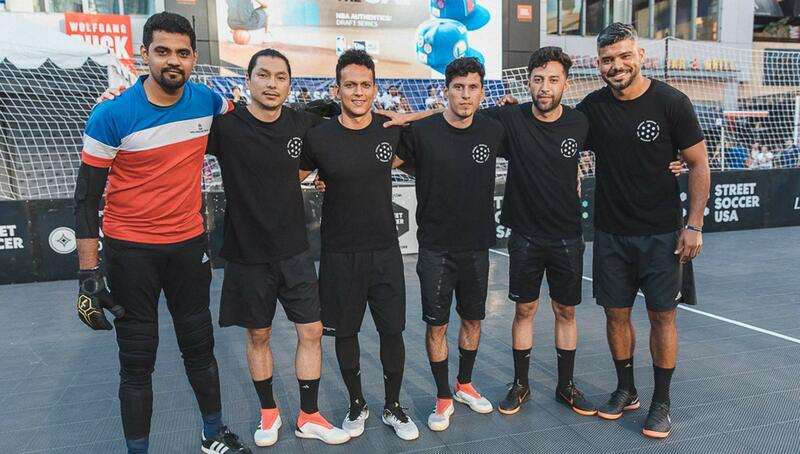 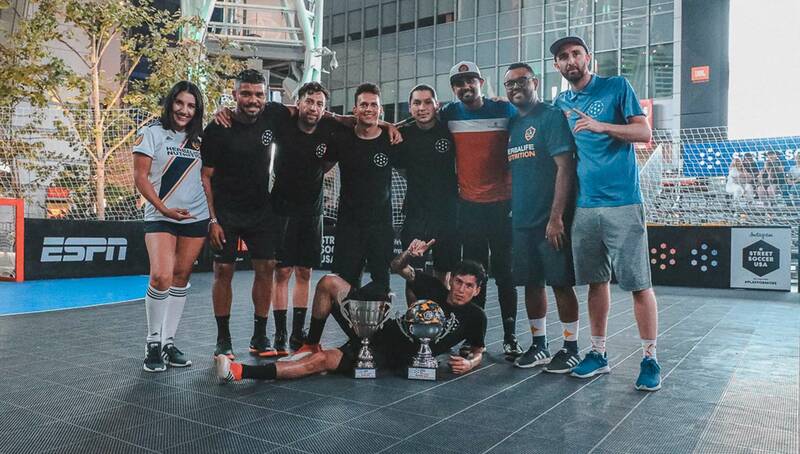 The winners of each bracket would face each other in the Super Cup final, which took place between UrbanFutsal LA and LA Chargers-sponsored Oh Cheeky, which was comprised of several members of BOLA including Ice Cold. 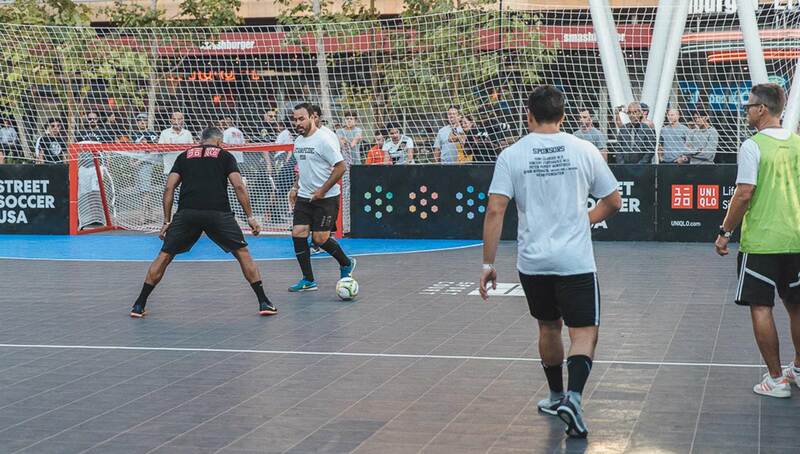 David Acuña, a team member of UrbanFutsal LA, said that the entire event was well organized and had a great venue. 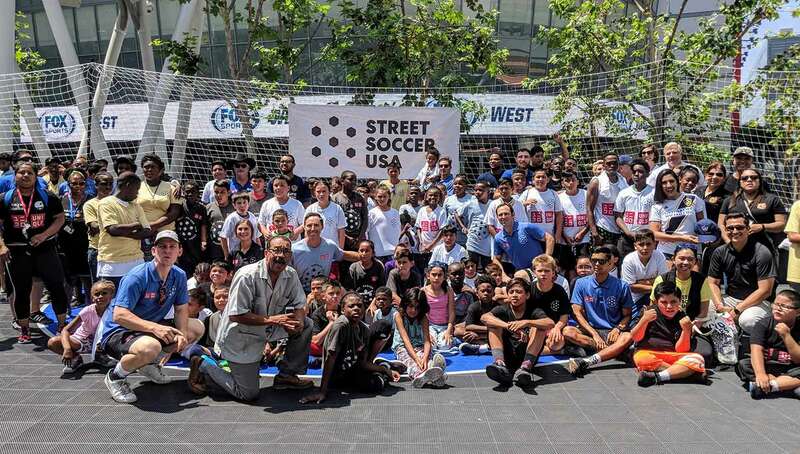 Those who didn’t contribute by playing were appreciative and excited at being a part of the overall process of putting the tournament and SSUSA’s Los Angeles chapter together. 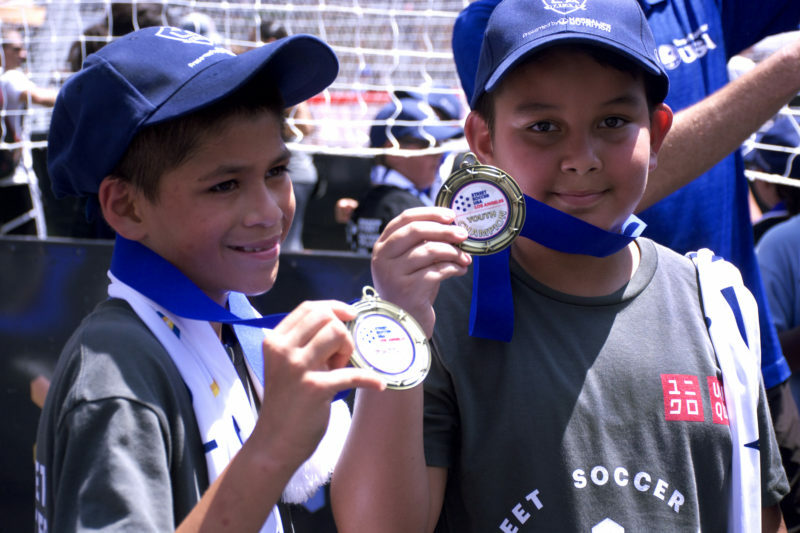 SSUSA’s LA Pilot Program services at-risk youth in Skid Row and in Watts by creating front-end engagement through community soccer clubs and teaching participants various life skills including leadership and problem solving skills. 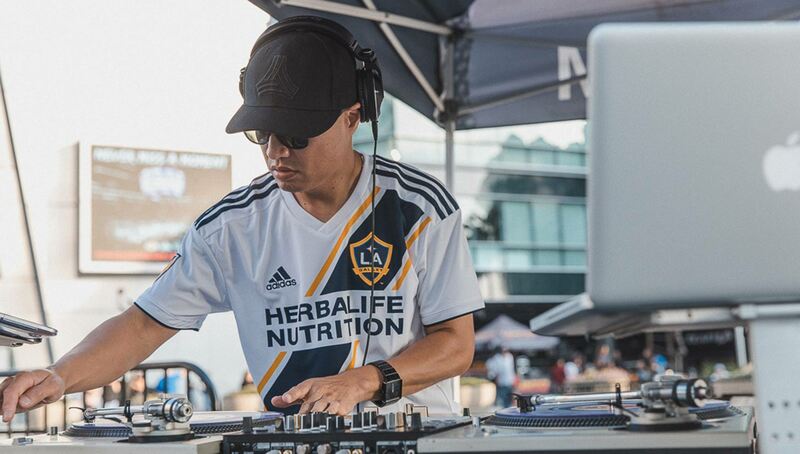 This in turn empowers the youth to make a difference in their communities. 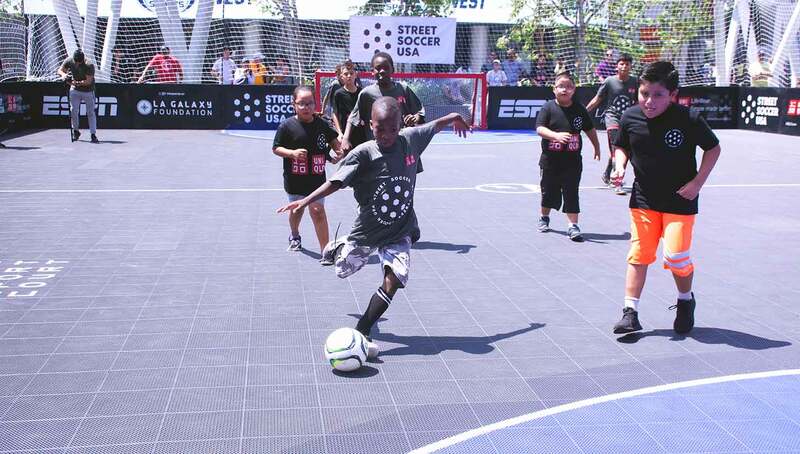 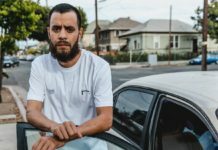 With the help of the LA84 Foundation and City Council President Herb Wesson, the LA program was started last year, and has since worked closely with the Galaxy Foundation to provide positive experiences for those who so desperately need them. 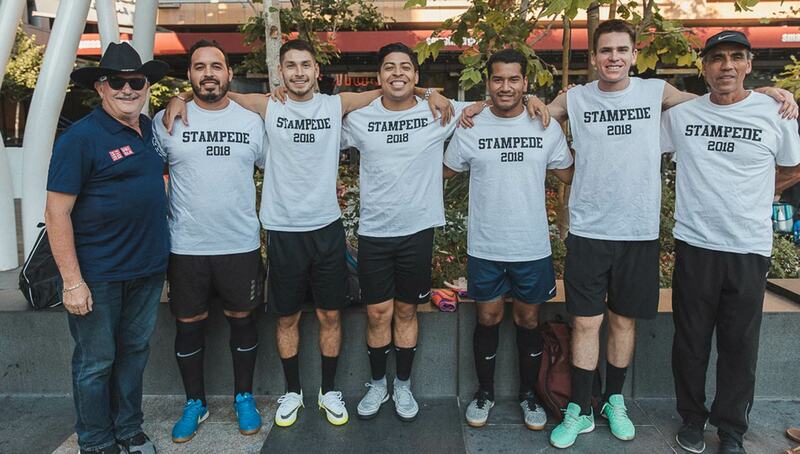 Cann noted that this event was a culmination of their dedication to uniting the community — both on the street level and corporate level. 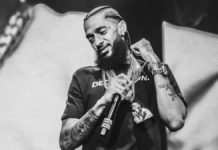 He also said that the access to fair play and sound sports programs is something that is extremely vital to young people, but it is often overlooked.